Are your summer tomatoes coming in? Ours are, with a vengeance. Yay! 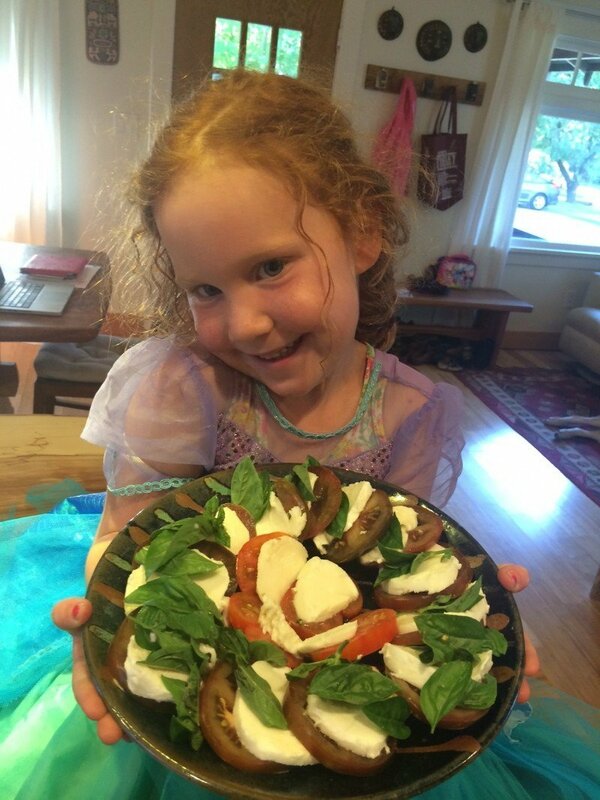 A Caprese salad can be done a million different ways! As it should – it is a simple celebration of just a few ingredients, but each one should be the best of the best. No meal is better than the ingredients that you put into it! For you sophisticates – have fun with art! Choose multi-colored tomatoes and cut into squares or triangles. 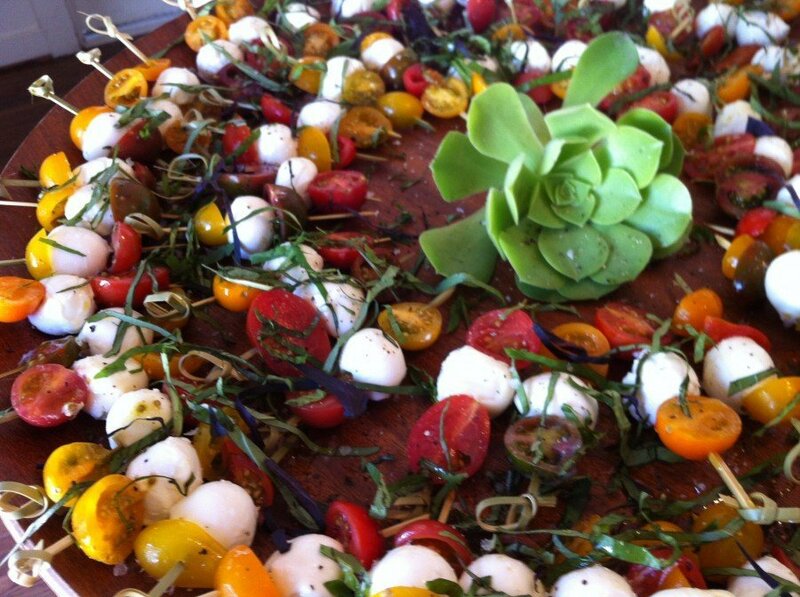 Create a tomato “mosaic” and sprinkle with the toppings. Or, pop the whole thing on thinly rolled focaccia and bake. Or, toss through piping hot fresh pasta. If you have huge tomatoes, you can hollow them out and serve the toppings inside. Small tomatoes? Make skewers! And a Burrata version, for those for whom Mozzarella is just not enough! Arrange, mix, decorate with the above ingredients in a way that makes your tongue tingle, heart sing, and toes tap! << Vitamix and Cuisinart – Big Love!